When I pick my outfits, I always put comfort first. I hate feeling uncomfortable. That's why my wishlist always looks the same- jumpers, oversized tops and dresses, denim shirts, leggings. This spring, I am planning to experiment with colours and instead of getting a black jacket I will go for something different. I really like the Blue Boucle jacket and I am thinking about buying it. It looks smart but casual and I suppose that the shape would look flattering on me. All the pieces I featured above are from the Inspire Collection, which is New Look's Plus Size range, covering sizes 18-26. I find their fit true to size and the quality is usually really good. As a jewellery addict, I had to include some of my favourite pieces from the New Look website. My favourite is the Limited Edition Blue and Orange Bib necklace - it would be perfect for Spring! I also love the massive Silver Chain Bib necklace and I wanted to buy it in gold last year, but it sold out pretty quickly. This year, the silver version is out of stock already as well :( Boo! 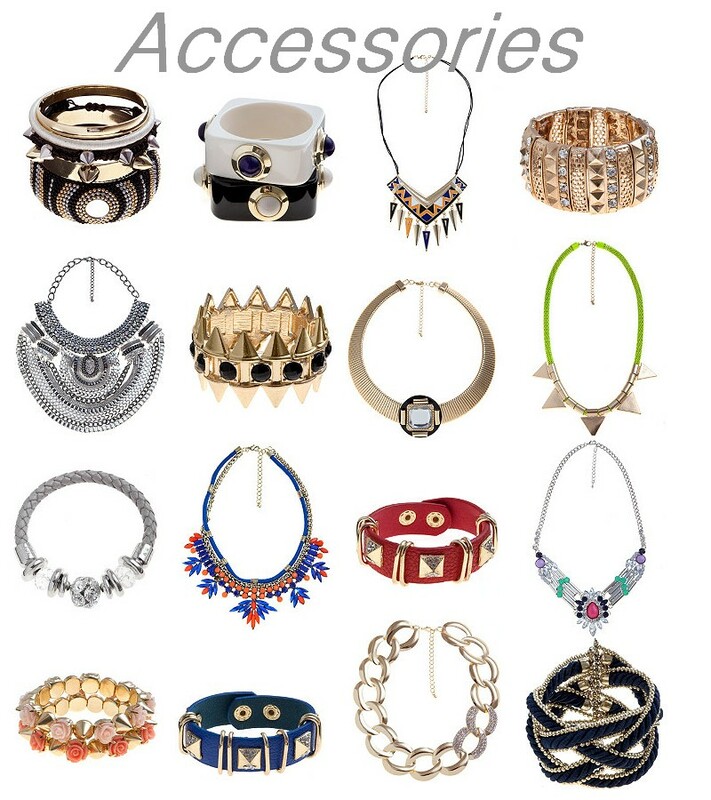 Do you like statement necklaces? I love wearing them with simple jumpers or t-shirts.